Before buying into the pink and red commercial frenzy of Valentine’s Day, take some time to peruse top fashion trends that are also taking on sustainability. The impact of plastics and pollution are increasingly seeping into our culture’s collective conscious–so much so that big-box brands are making their stand against items like plastic straws. For this holiday, our gift shopping love is going to the indie, boutique brands that are reshaping style trends that are built atop a sustainable foundation–from their product sourcing to their cultural and environmental impacts. Here are three independent labels with a purpose that are helping to redefine our closet staples. Once the go-to for moms and dads scurrying children around amusement parks and tourist attractions and avid runners and skiers, fanny packs evolved from fashion faux pas to an everyday must have in 2018. The allure is simple: A hands-free, versatile bag that eliminates purse depth and pickpocket worry, and allows for fuss-free mobility. Now enter Lovia. Under the motto, “We turn leftovers into timeless accessories with full transparency,” Lovia salvages leftover furniture leathers and repurposes them into stylish accessories like bags, jewelry, and laptop covers. The upcycled scraps are taken from Isku, a Scandinavian design company in Lahti, Finland, to Milan, Italy to become one-of-a-kind Lovia pieces. The Lovia belt bags–nicknamed the Hilla–take the fanny pack to the next level. 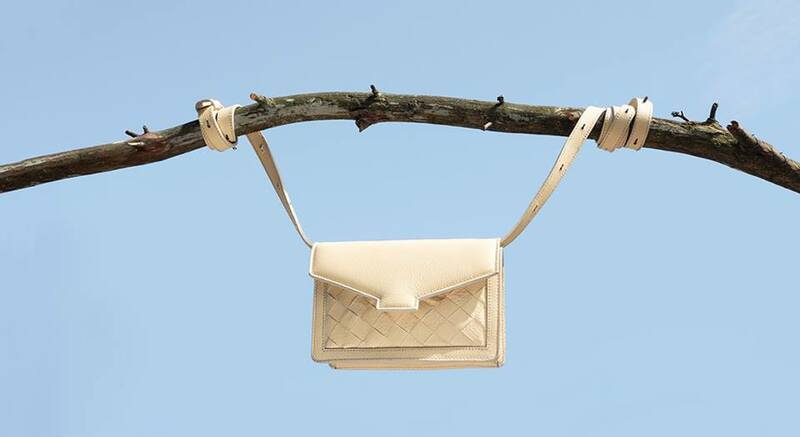 Hilla can be worn as a body bag, crossbody, shoulder bag or a clutch. Each bag is individually marked and numbered with where it came from, who made, and how much they paid for the materials. Plastics in the ocean have been the focus of numerous documentaries, news reports, and articles as of late. 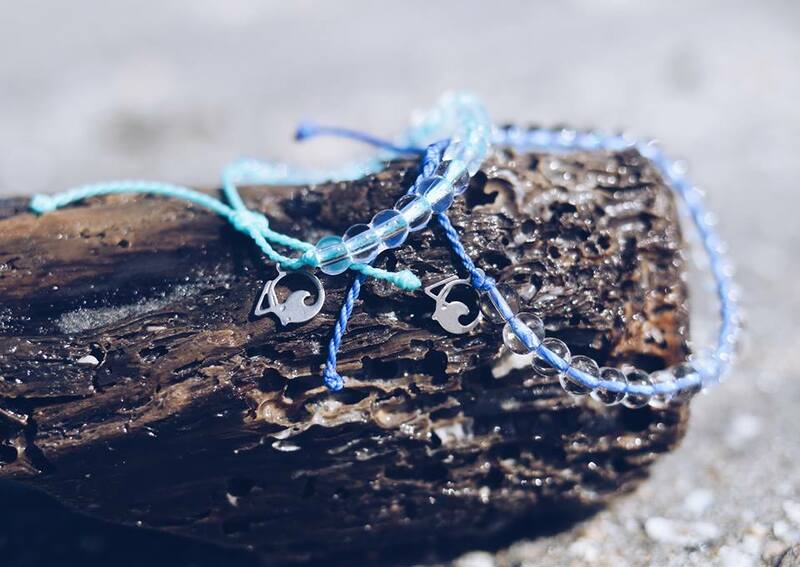 Eliminating such pollutants from the water is at the core of 4Ocean’s branding–this company makes their everyday bracelets made from recycled plastic. Each 4Ocean purchase funds the removal of one pound of trash from the oceans and coastlines. This Florida-based brand was born from a surf trip to Bali. Two friends, Alex and Andrew, witnessed local fisherman pulling trash from the water instead of focusing on their catch. The time spent cleaning up the trash was pulled from the small town’s profits, so the twosome decided to do something about the proliferating problem. Each 4Ocean bracelet is hand assembled in Bali and made from 90% post-consumer content, and each month, 4Ocean releases a limited edition bracelet dedicated to an animal or idea with custom colors to match. For example, the Earth Day bracelet featured an electric blue and bright green tie while the Polar Bear bracelet flaunted a clean white tie. Actress and activist Rosario Dawson put her star power into Studio 189 back in 2013, co-founding the men’s and women’s clothing company that works with artisans in Ghana to create African inspired ensembles that emphasize sustainability and support the local economy. The bright and bold textures and prints were shown on the Spring 2019 Fashion Week runways, luring celebrity support for the likes of Alicia Keys. In 2018, Studio 189 took home the Council of Fashion Designers of America’s $80,000 grant underwritten by Lexus: The annual sum is awarded to brand pushing sustainability in fashion. Studio 189’s website is currently under construction, but fans can order pieces they spot on Instagram via email.